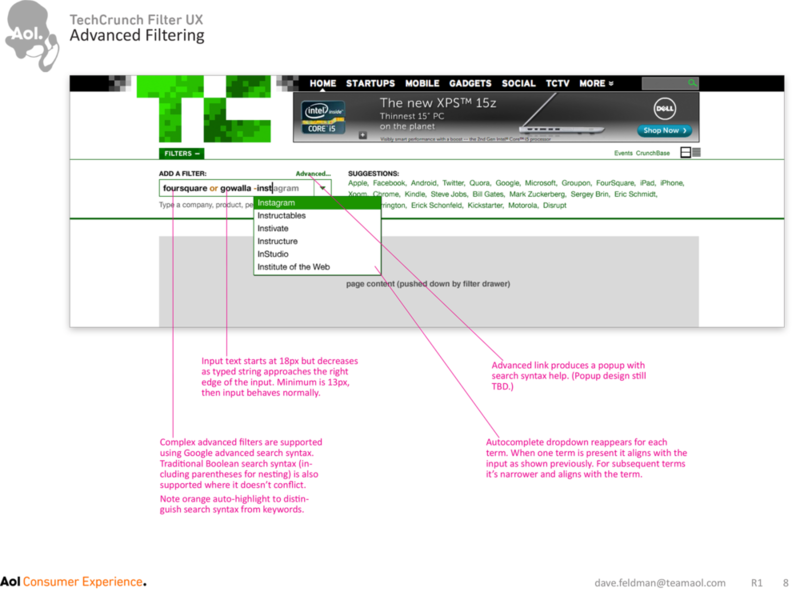 I product-managed the 2011 redesign and rebrand of TechCrunch.com. TechCrunch had hired an agency to design and build the the site; much of my role involved mediating between TechCrunch leadership and that agency. Project goals: Ensure users see the right content; clean up information architecture and navigation; modernize the brand and look & feel; manage the launch of a high-profile site with an opinionated user base. Metrics-wise, our goal was to double page views per visit—which we achieved.